Pacific achieved only their second North East London League win of the season by beating Clapton & Oval in some style at Springfield Park. Clapton were inserted and their skipper Jamie Doe (26) got them off to a reasonable start. But having seen off the opening bowlers he was bowled first ball by the off-spinner Umrish Pandya with a delivery that completed a hat-trick begun the previous week, when Pandya had wrapped up the tail of Daman CC. No 4 Taha also made 26 but he and Doe were the only Clapton batsmen to reach double figures as all the Pacific bowlers kept things tight. Pandya finished with figures of 8 overs, 4 wickets for 27 runs. The other wickets were taken by the left-arm pace trio of Ben Stockton (2), Matt Dempsey (1) and Tom Ireland (2) as Clapton were bowled out for 116 in 34.4 overs. After a short rain shower during the tea interval, Pacific went out to bat and made uncharacteristically light work of the total, with captain Toby Chasseaud scoring 70 not out off 63 balls (including ten fours and three sixes) to register his second consecutive league fifty. Pacific finished on 119 for 4, knocking off the runs in 23.2 overs. Tower Hamlets started rapidly with both openers scoring several boundaries through the off side, the highlight being a six lifted over deep cover. LFCC's opening bowlers Clarke and Sayer put a number of balls past the bat and their patience was rewarded as they tightened up the scoring and ended up with five wickets between them, assisted by some sharp catching. Dave Miller came on first change and was unrelenting through a tight 7 over spell which brought 3 wickets, aided by several good catches by Ruby Quince. Tower Hamlets finished on 97 all out after 29 overs. LFCC started their response with at gallop, Teasdale and Barrett keeping out some sharp swing bowling while punishing anything short in particular, Teasdale pulling four sixes over square leg in a rapid 35. Barrett nailed a few himself including a sweetly timed four through midwicket, though also took a glancing blow above the eye when taking a similarly aggressive approach to a short one. Once LFCC's openers had been dismissed, Tower Hamlets' seamers bagged a couple more before some clean hitting from Vijay Shah and Ruby Quince sealed the chase with 28 overs to spare. 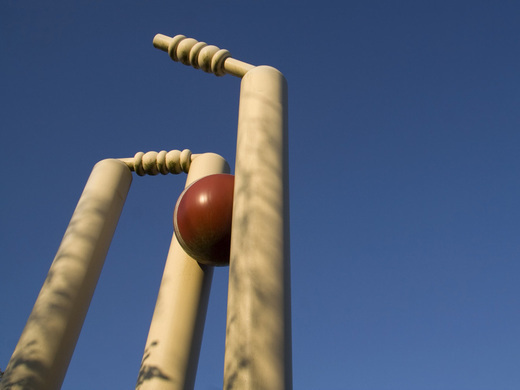 Hackney CC beat Bloody Lads in a dramatic top-of-the-table clash. With plenty of moisture in the air and pitch, Bloody Lads elected to field first. Some tidy bowling from both ends kept the batsmen honest, but runs soon came as Jack Evans (66) and Hackney captain Edgar Maddicott (46) pierced the field for boundaries. The heavens then opened and a lengthy downpour delayed the game. It was touch-and-go for a period, but play eventually resumed with adjusted overs of 37 per side. The pitch was by now a different beast and batsmen struggled to time the ball amid some accurate bowling. Wickets began to fall, but Hackney hitters Andrew Johnson and James Baber found some fluency and the fence to put a competitive total of 224 on the board by the change of innings. With the sun out, Bloody Lads got their run chase off to a slow start from their openers who groped at the opening bowling of Baber and new Hackney recruit, Robert Paterson who dispatched them both. This brought the dangerous pairing of Nauman Iqbal and Bloody Lads captain, James Mulvey to the crease and they began to assert their dominance and take the attack to Hackney’s bowlers. Half the job was seemingly done when Maddicott trapped Iqbal in front for 14, but Mulvey produced a fine display of batting and helped shepherd his lower order towards the target, whilst bringing up an excellent century and landing a couple of maximums in the lido. Bloody Lads still needed boundaries when Mulvey, starved of the strike, tried for one too many and was bowled by Maddicott late on to swing the game in Hackney’s favour. With an fixated crowd looking on, a cover boundary direct hit from Evans and nerveless death bowling from Simon Trevethick and Jotham Tonge ensured the chase was too steep for the remaining Lads and the points went to Hackney to pile more pressure on title rivals London Fields in the season run-in.